It's the 30th Anniversary of the movie "Vacation". One of my favorite movie series! 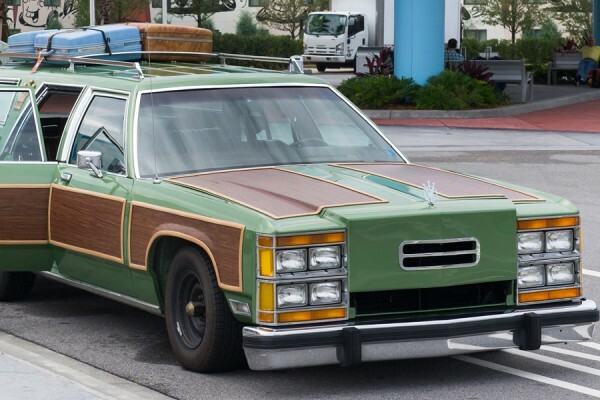 A real Griswold family has recreated the Road Queen Family Truckster and they drive it to Wally Disney World 4 or 5 times a year! Christmas Story, the best Holiday Movie! Target has some awesome Christmas Story items in their dollar section right now. They've got notebooks and pens along with stress balls (or bars) and Cookie Cutters. "Oh Fudge" Lifebouy Soap shaped stress bar. Are you supposed to bite it? I love, love, love vintage play kitchens. Especially dollhouse size! I have a few pieces from the 40's and 50's that I think are just adorable. I have only recently started collecting these, so I'm still trying to figure out what I want and what I have space to display. I recently bought this ADORABLE Deluxe Dream Kitchen that is the size of Barbie, Tammy, and other similar size fashion dolls. It's super cute, but much too big. My sister came over and we played Barbies! We got them all set up and I took tons of photos. I am listing it for sale because it doesn't really fit in with my other dollhouse size toys. It will be sad to see it go. I guess if I kept everything I ever wanted to, they would have to do an episode of Hoarders about me. My nephews once played with my Strawberry Shortcake dolls. They were certain because all they were doing was dressing them and brushing their hair, they weren't really playing with them. I told them that's pretty much what we do when we play with them. Getting their hair, outfits and house set up is all the fun part! They immediately dropped the dolls and went upstairs to play with trucks! 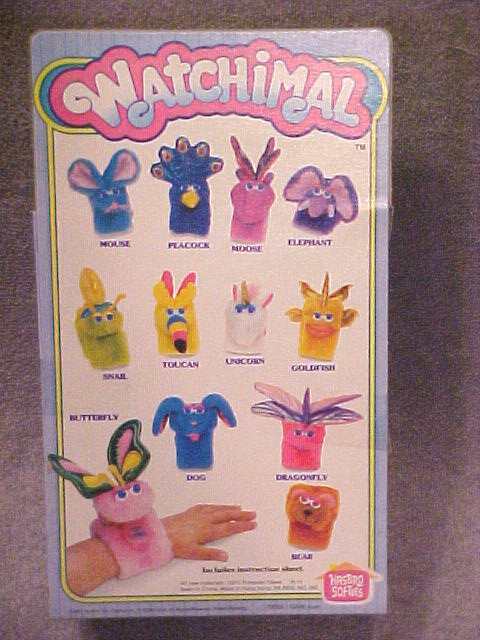 Hasbro introduced Watchimals in the 80's. Problem with these was that kids watches are junk, and the watch inside this was no exception. Once the watch breaks, it's still neat to have a plush bracelet, but it really lost its cool factor. The fun thing was that this was a way to sneak stuffed animals into school. I don't know if these are all designed by Bob Mackie, but I know that at least some of them are. At the bottom is a photo of Peasant Lady, an outfit I recently sold on ebay. It states it was designed by Bob Mackie. I am glad to see that Sonny got some of his own fancy digs as well. The Space Prince outfit is nice! 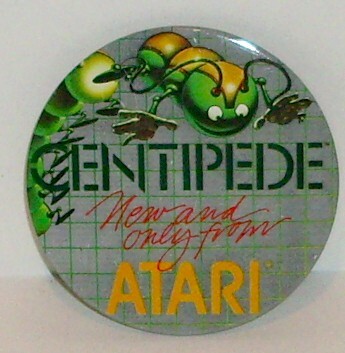 Centipede, New and Only from Atari! A pin worn by retailers in 1981! Technology sure has come a long way. 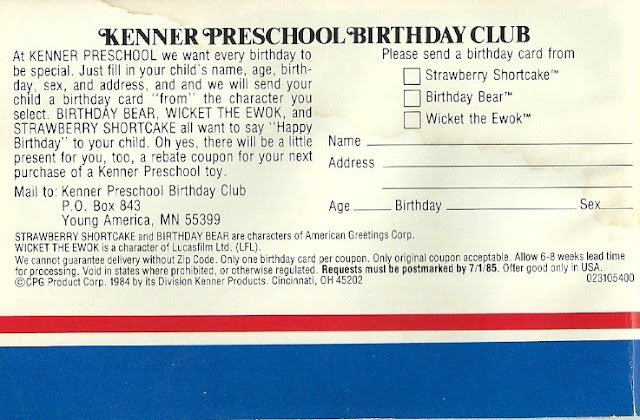 In 1984 Kenner decided to go after the youngest Strawberry Shortcake and Star Wars fans. Tiny tots! Star Wars Ewoks Toys. 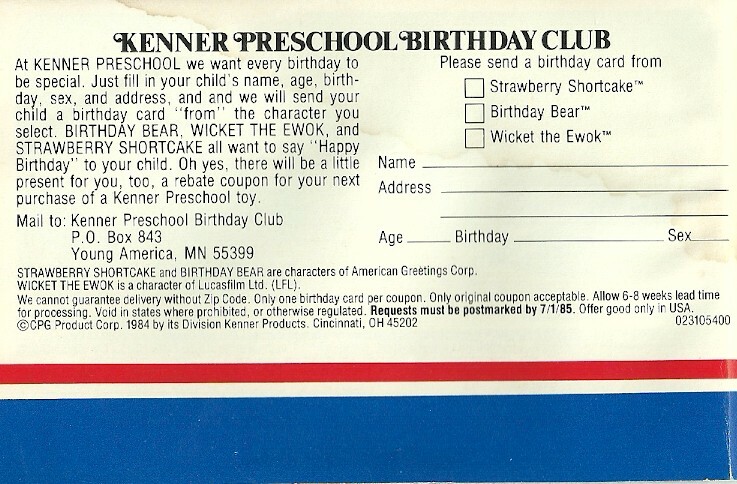 Little Kids love Ewoks! Ewok Tree house and toys. 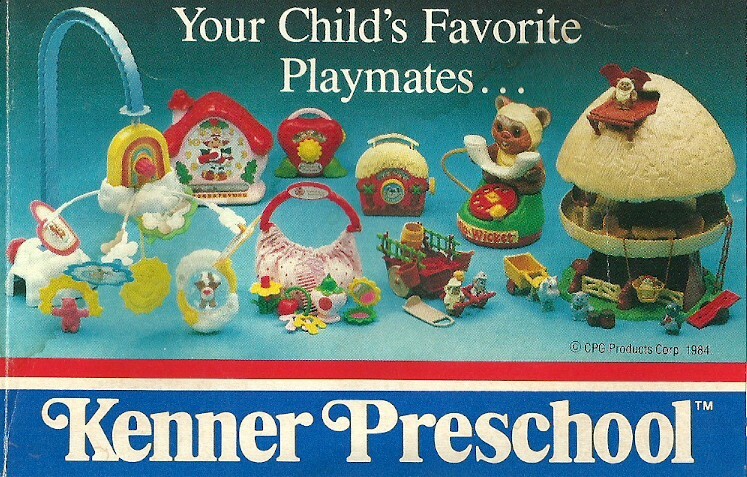 This is the same model of tree house as Kenner's Tree Tots toys! Strawberry Shortcake super fun toys. Talking phone, sweet scents kitchen, teaching clock, pretty purse and music box. Sit n' Spin and Give a Show Projector. I need both of the Strawberry Shortcake versions of these! Anyone still have their birthday card from Strawberry Shortcake? I MUST have this!! !